Laurin Weissinger is the Cybersecurity Fellow at the Center for Global Legal Challenges; and Resident Fellow, the Information Society Project at Yale Law School. 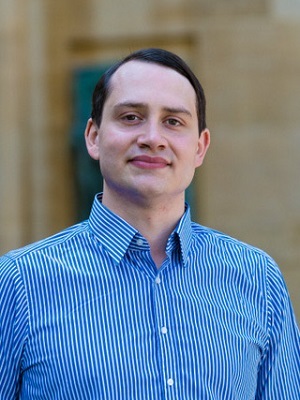 Through his research, Weissinger is developing novel methods for assessing cyber risk within organizations, in part by using quantitative network analysis to identify the way defenders counteract attacks but also which individuals, processes, or systems are most at risk for a cyberattack, based on factors such as their access to high-value data and their relationships to other nodes in the network. He also works on cybercrime and the problem of trust assurance in cybersecurity, covering both technical and socio-political questions. Trained as a social scientist, he has also spent over 15 years working in IT as a systems administrator, and worked in consulting with a focus on technology. He recently submitted his DPhil (PhD) at the University of Oxford, where he is affiliated with Cyber Security Oxford and works at the Extra-Legal Governance Institute, which focuses on the study of economic and social activity governed by institutions and structures outside the state. He is a Certified Information Systems Security Professional (CISSP), and earned a B.A. from University of Birmingham, an M.Phil. from the University of Cambridge, and an M.S. from the University of Oxford.